I think I’m not the only person who hates their neighbors sometimes. Because let’s be honest: no matter how sweet they are, if they enjoy listening to heavy metal at midnight, they can easily turn into your worst enemy. 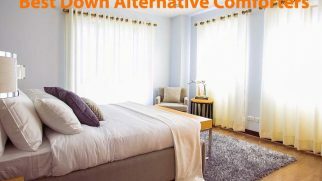 Thankfully, there are some solutions to the noise problem during the night. 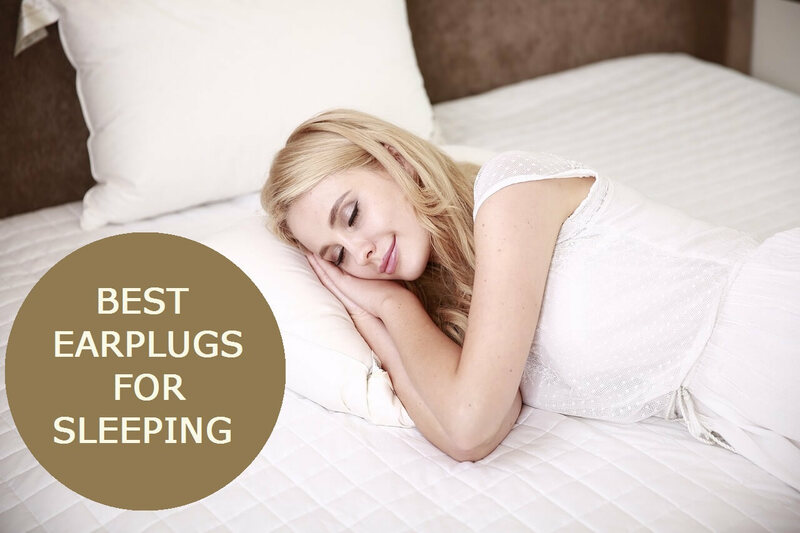 Today, we are going to take a look at the selection of the best noise canceling earplugs for sleeping and find out, which ones can save your good night’s sleep and friendship with your neighbors or roommates. The cool thing is, these earplugs are multifunctional: you can use them for both sleeping and swimming, as they are waterproof. But that’s not what makes them appear among the best earplugs for sleeping. They deserve to be on this list because they really work. They are made of silicone, which can perfectly contour your ear, making you feel comfortable while using them. Their noise reduction rating is 22 decibels. 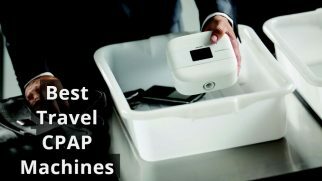 You can use them for swimming and traveling. They are non-toxic and hypoallergenic. What is really great with that earplugs? The coolest thing about these earplugs is how comfortable they are. You see, there’s no need to actually stick them into your ear canal (which can be quite unpleasant). Instead, they kind of seal your ear up, and you no longer can hear the outside noise. Plus, because they aren’t actually in your ear canal, you don’t feel them when moving and lying on your side. What is wrong with that earplugs? The thing that might make you feel disappointed about these earplugs is how tricky they might be to apply at first. You really need to give it a couple of tries (maybe even more) to learn how to put them in correctly, so that they would actually seal your ear and reduce the noise. Overall, I am quite happy with these earplugs. They do their job well and feel very comfortable in the ears. I’m sure that these earplugs have the potential to help you sleep like a baby. The next contestant also has the right to be called the best earplugs for sleeping. 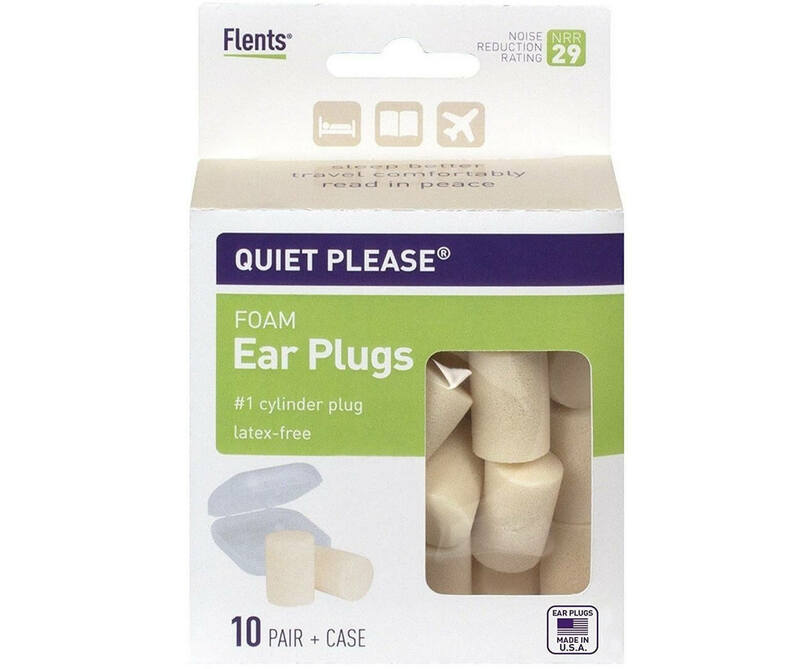 These “Quiet Please” earplugs are a classical foam option, and classic always means good. They are easy to use and able to cope with the noise. They are made of pure foam. Have a simple and comfortable cylinder shape. Their noise reduction rating is 29 decibels. Suitable for sleeping, snoring, construction work, and traveling. The absolute best thing about these earplugs is the fact that they really work. Perhaps they might seem to be a bit old-fashioned to you, given the fact how many silicone, latex and even custom-made earplugs there are. However, these little helpers do their job. My neighbors were in the process of renovating when I was testing these earplugs, and they managed to pleasantly surprise me. The worst thing about these “Quiet Please” earplugs is that they won’t work if you don’t insert them properly. Because the foam needs to inflate inside your ear canal and fill it, you first need to squish the earplug properly before inserting it. It might take you some time to get the hang of it. To tell the truth, I feel like even if I lived with 8 dogs who bark all the time, I would still be able to sleep peacefully with these earplugs. They are comfortable and effective, so what else is there to say? 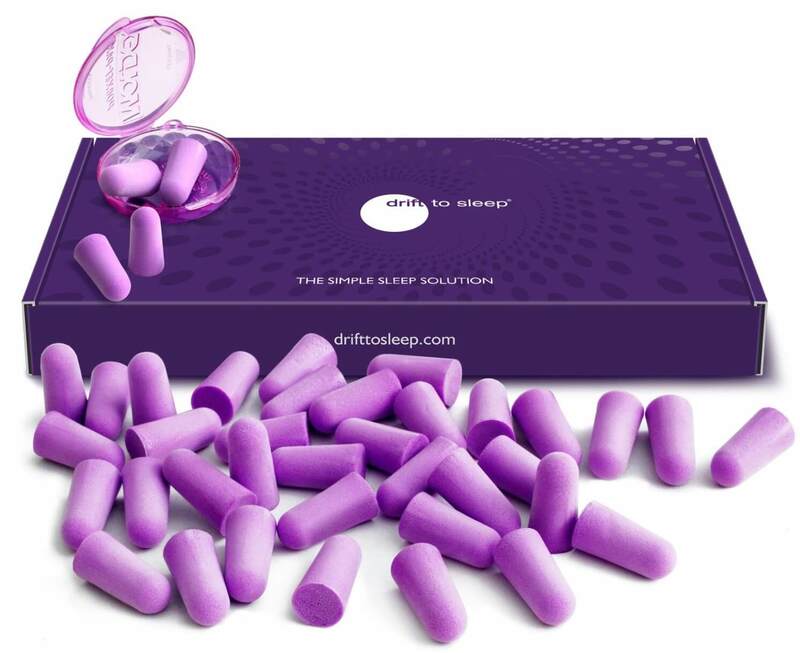 I have to include Drift to Sleep in my list of the best earplugs for sleeping for a reason. They helped me sleep like a baby without even noticing them. I mean I realized they were in my ears, but it felt so comfortable that I stopped thinking about them after the first minute. They are made of soft and lightweight Moldex foam. They have a 33-decibel noise reduction rating. They can fit even small ear canals. What I loved the most about these earplugs is how easy they are to use (I guess it’s because of their shape). I had no problem whatsoever inserting them in my ear canals. These earplugs are soft, squishy, and inflate in the canal to perfectly fit it. Simple and effective. The worst part about using these earplugs is the chance to lose them during sleep. Let me explain: when you insert them, the wider part remains sticking outside your ear. Despite being small and not sticking out for too much, they might pop out during the night, especially if you toss and turn. These earplugs are totally worth trying out. 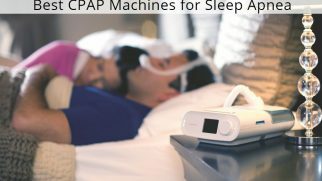 They surely can help you sleep through the noise from your neighbors or the snoring of your partner. This product deserves to be among the best earplugs for sleeping with a snorer because of a number of reasons. These earplugs are super soft, lightweight, and they easily adjust to your ear. They are made of the urethane foam, which is very soft. They are suitable for different ear sizes as they inflate inside and contour the canal. They are non-toxic and safe even for the allergy-prone people. Their noise reduction rating is 32 decibels, which is more than the majority of earplugs can offer. The coolest feature of these earplugs is their softness. They don’t cause any pressure on the ear canal, which is a big plus. Why this matters so much, you might ask? You see, when the earplug foam is too stiff or dense, it can cause too much pressure on the ear canal after expanding inside of it, which can lead to pain and even health issues. 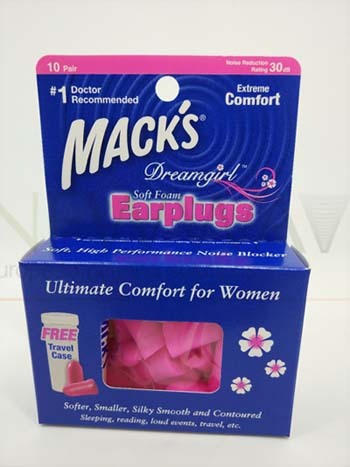 With these Mack’s earplugs, that’s not the case. The worst thing about these earplugs is their size. The manufacturer updated the design recently and made the earplugs a bit bigger. So, despite being able to adapt to different ears, these earplugs might be too big for some people. Despite their minor flaws, these earplugs really work, and that’s what matters the most. They helped me sleep through the night, while my neighbors were having a loud party with their friends (without earplugs, it sounded more like a crowded bar than a home party). This is another product that deserves to be on this list of the best earplugs for sleeping and sleeping with a snorer. 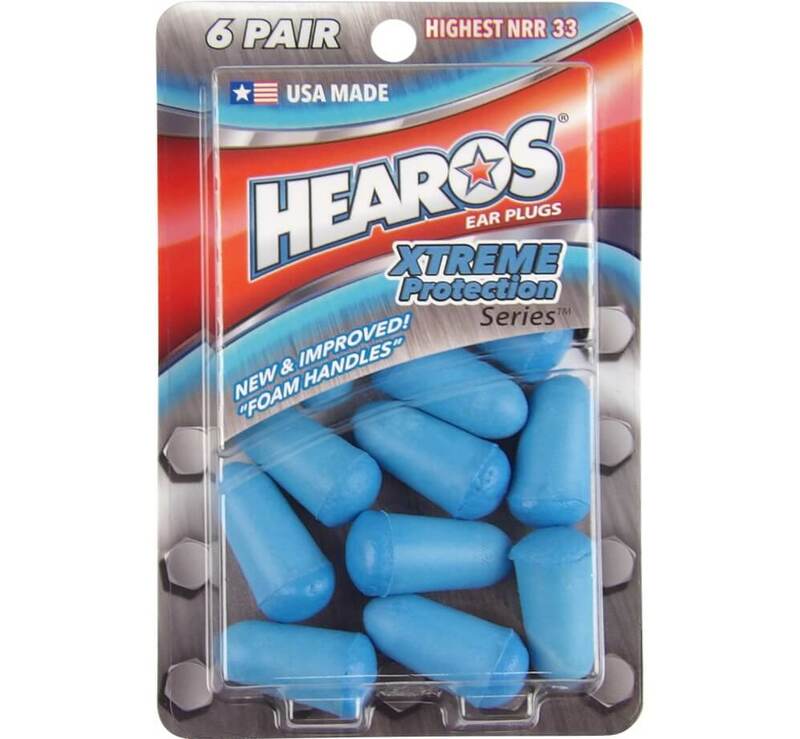 The Hearos earplugs really do offer extreme protection from noise and are able to save you from the loudest neighbors. These earplugs are made of the polyurethane foam, which is soft and very adjustable. Their noise reduction rating is 33 decibels, which is high above average. They are molding and can fit pretty much any ear. What I loved the most about these earplugs is how effective they are. Seriously, I couldn’t hear anything. My upstairs neighbors’ baby cries a lot during the night. The apartment next to mine has a large dog who just loves barking (for no reason at all, apparently). And someone from my building has recently bought a really old car, which makes the beast-like sounds when driving up to the building’s parking lot. Still, none of these noises managed to wake me up when I was wearing the Hearos earplugs. The worst thing about these earplugs is the fact that they are large. I had to re-insert them a couple of times in order to block the outside noise. While being soft and moldy, these earplugs might be too big for some people. Overall, my experience with these earplugs was satisfying. After spending some time adjusting them in the best way possible, I enjoyed restful and peaceful sleep and even was able to forget that I had neighbors. Because noise can completely ruin your sleep, finding the best earplugs for sleeping and snoring is an important task. But the thing is, despite being quite a simple tool, earplugs can make you face some challenges when trying to pick the best ones. The short answer – yes. However, there’s always a “but”. Earplugs are safe to use as long as you use them properly. There are some potential risks that you should be aware of, so let’s take a look at them. Pulling the earplugs out too fast can damage your inner ear. You see, when the earplugs expand inside the ear canal, they occupy the whole space and kind of stick to the ear canal. This “suction” property allows them to stay in place and not fall out, but when you remove them too fast, it can force them to pull on the eardrum, which can lead to its rupture. To avoid that, you should remove your earplugs slowly by twisting them. It’s that easy. The earplugs can get pushed too far into your ear, which can also cause pain and health issues. This can happen because of two reasons: either you try too hard and insert them too deeply, or they shove into the ear canal when pressure is applied (for example, when you sleep on your side). To save yourself from such an unpleasant situation, don’t get the earplugs that are too small for your ears. When using dirty earplugs, you can transfer bacteria into your ears or cause the earwax to build up faster. This can lead to ear infections. I’m sure you’ll agree with me when I say that nobody wants that to happen. To avoid such unpleasant consequences, simply don’t overuse your earplugs. Throw them away and get a new pair. After all, they don’t cost that much, and your health is more important. I don’t know about you, but I believe that a pair of great earplugs can drastically improve your sleep quality. And, based on my today’s review, I think that the best ones are the Drift to Sleep Moldex Earplugs. 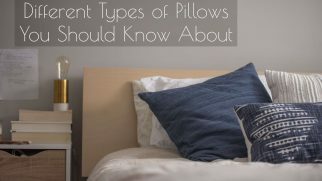 They can be called the best earplugs for sleeping and snoring for numerous reasons. Their shape makes them very easy to insert, they can fit pretty much any ear, and they are very soft. Moreover (and most importantly), these earplugs showed excellent noise canceling results. I’m sure that with them, you won’t have to worry about your noisy neighbors or roommates.